Comfortable and colourful, Chalou blouses are a firm favourite here at Beige thanks to their flattering fit and vibrant colours. Chalou are passionate about quality and consistently deliver gorgeous garments season after season. 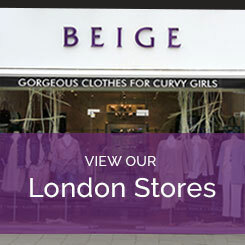 Here at Beige you'll find the latest plus size blouses that Chalou have to offer. Take a look at the latest Chalou plus size shirts and blouses collection online or in one of our 3 London stores. If you can't find what you're looking for, please do get in touch and we'll do our very best to help!